What Makes Expert Mechanical Service Your Best Choice for Mechanical Services? 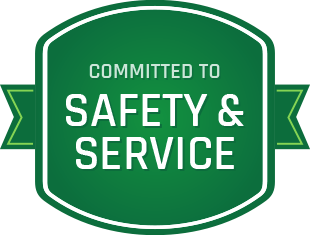 We’re Committed to Safety and Service! Expert Mechanical Service Inc. was founded on the principles of quality, integrity, and customer service. We are a full-service mechanical contractor, able to service your facility needs 24-hours a day, 365 days a year. We believe Technicians are the nucleus of our success: our technicians are career-licensed journeyman dedicated to providing you with timely, cost-effective solutions to your HVAC and refrigeration needs. We have assembled a staff of highly trained and motivated people that believe in teamwork and are second to none. For any of your service, maintenance, and renovation projects, Expert Mechanical Service is dedicated to providing you with the utmost professional HVAC, boiler, and refrigeration services available. Our reputation for delivering quality service and on time/on budget project completions speaks for itself. This reputation and strict adherence to protocol make us the first choice for many of southeastern Michigan‚ Hospitals, School Districts, Universities, Municipalities, and Commercial & Industrial facilities. Our staff is dedicated to working WITH your facilities personnel to provide on-site training, support, and assisting in developing safety and maintenance protocols. As well as helping to ensure code and regulatory agency compliance. TEAMWORK! We have developed and maintained a comprehensive safety program that puts our safety and yours first and foremost and allows us to keep our worker's compensation premiums below the industry average. We welcome the opportunity to show you why Expert Mechanical customers enjoy the peace of mind knowing we are only a phone call away. Expert Design. Exceptional Service. Expert Mechanical Service. Call (734) 282-2250 now and see how our expertise can exceed your expectations for comfort, safety, and cost controls.